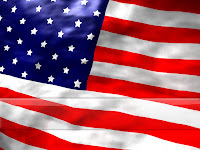 Find fun things to do and places to see in California. Day trips, theme parks, beaches, kids activities, discount tickets, campsites and vacation packages. Spend the day, a weekend or an entire vacation exploring California. 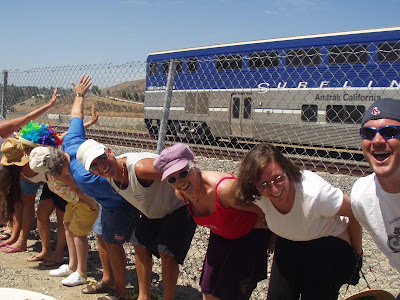 Search hundreds of places to visit in California and see why its is called the "Golden State"
On the second saturday of July in Laguna Niguel California a tradition of mooning the passing Amtrak Pacific Surfliner trains is carried on each year. This years event is all day Saturday, July 12, 2008. Both north and south bound trains are full to capacity to view the moon show. Engineers slow down the usually fast moving trains for optimal viewing of the exposed rear ends. Mooners of every size, shape and age line up along the edge of the track to expose their naked behinds to the passing passenger trains. Mugs Away Saloon across the street from the moon show serves cold beverages and there are also assorted vendors selling food and souvenir event T-shirts. Mooning the trains started out in 1999 over a bet in Mugs Away Saloon in order to get a free drink.